Craig Williams will continue his association with talented Victorian filly Champagne Boom in next week’s $200,000 Wyong Magic Millions 2YO Classic. Williams has ridden the Spirit Of Boom filly in both her previous starts for the Hayes Dabernig team and was happy to take the ride, with connections using the Wyong race as a stepping stone to the Gold Coast. 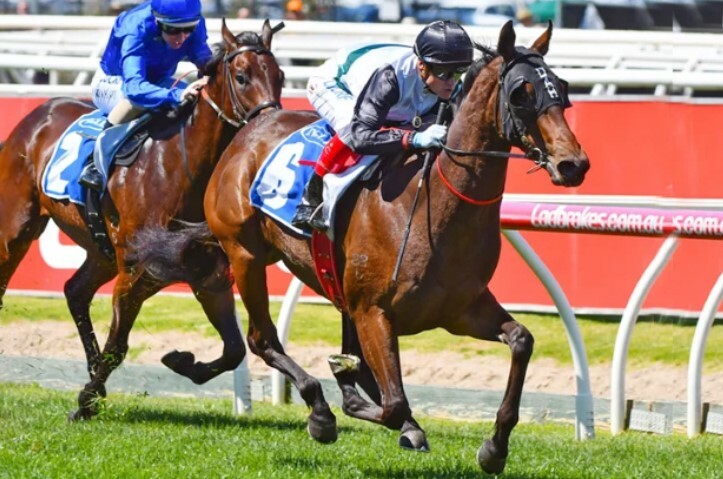 The $90,000 Magic Millions yearling purchase came into contention for the rich series with her impressive debut win in the Listed Inglis Debutant Stakes over 1000m at Caulfield on October 13. She was narrowly beaten in her subsequent start in the Group 3 Bumble Stakes at Flemington on November 6. Champagne Boom has been at the stable’s Euroa base since her last Melbourne run, being prepared for the reverse way of going. “She’s been doing a lot of work on her Sydney legs and it’s all going well,” assistant racing manager Dom Rhoden said. Rhoden said they were hoping for a good draw, so Williams could have her ideally positioned midfield. “She gets back a bit but if we draw well she shouldn’t get back to far. It is a tightish track at Wyong but the way she’s been working on her Sydney legs, she’s done everything perfectly and we expect her to perform really well going that way for the first time. The stable won the 2016 version of the Wyong race with another filly, Madeenaty, who went on to finish third in the Gold Coast feature won by Houtzen. Nominations for the race and the $100,000 Magic Millions 3YO & 4YO Stakes over 1200m, close at 11am on Thursday.